Video advertising has created significant buzz for brands. Brands are engaging their audience during the Wold Cup 2014, with Video Advertising that is shared on social networks. Hashtags for conversation are included in the ad. The conversation is seeded with a hash tag describing key video ad theme . 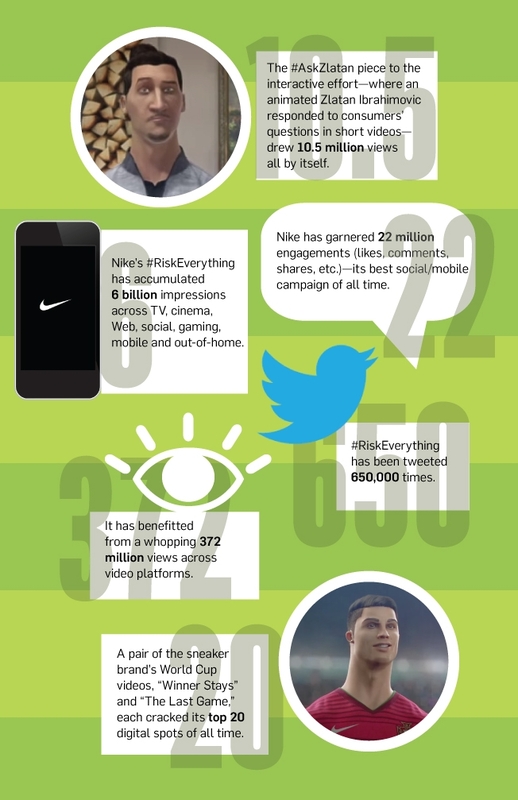 Nike has generated six billion impressions with a single hashtag. Social Video is shared with video apps such ad Vine and Instagram and a research done by Globalwebindex indicates 73% of Networkers share updates on world cup with their friends. Soccer players and the music underscore the advertising making it more topical and shareable. The conversation is dominated by Greats from players with moments that can be shared. The theme of World Cup is expressed mostly through background score and the setting rather than the slogans and other brand mnemonics. Posted in Social Media, Video Ads, Video Advertising. Tagged brands, social, Video Advertising.